Each morning I wake to a symphony of songbirds and roosters. Somehow, my wife, Nancy, usually sleeps through this, but for me it's the start of another relaxed day in retirement. 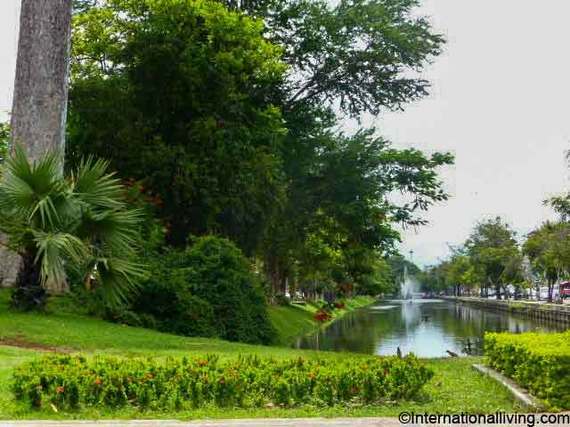 We live in a 968-square-foot condominium in the center of Chiang Mai, the principal city in northern Thailand. We have two balconies overlooking a large wooded farm -- an uncommon rural oasis in this growing city. Despite this, we're close to everything -- trendy cafés, glitzy malls, and craft beer pubs. Living in the center of a modern city for less than the price of many small towns in Canada is one of the reasons we like it here. Our delicious coffee is locally grown and we get it at a small shop nearby for about $6 a pound. 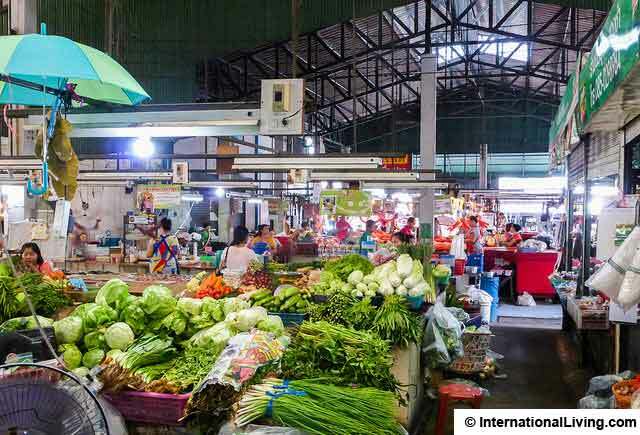 It's easy to head out to the street to pick up a fresh bag of sticky rice and a few skewers of barbecued meat for a couple of dollars. By 7 a.m., the street vendors on every corner are serving hungry customers, both local and foreign. If we're feeling lazy and want a slice of home, there's no shortage of restaurants serving enormous, tasty, Western-style breakfasts from as low as $2 for the basic eggs, bacon, and toast. Ten years ago, I would have laughed if you'd told me that I would retire in Asia. I was a successful teacher in the prime of my long career, looking forward to retiring in rural British Columbia. Then, in 2007, I decided it would be fun to teach overseas. I had spent a year teaching in Scotland in 1996 and enjoyed it. Shortly after posting my resumé online, I was offered a post in Wuhan, China, teaching science and math at a new international school. Over the next six years, we lived in an exciting city of 10 million people at small-town prices, and we traveled throughout Asia. We fell in love with Southeast Asian culture and the people. When I reached age 60 in China, it became more difficult to renew my work visa. I decided that 30 years in the classroom was enough. We had no interest in returning to Canada. And living in a large city in a warm climate, with the lifestyle we'd enjoyed in China, was too expensive. We narrowed down our choices to Central America and Southeast Asia. We already lived close to Thailand, so it seemed a good starting point. Chiang Mai made a lot of sense. It has a large, active expat club that meets regularly, with many smaller interest groups under its umbrella. The locals seem friendly and, for the most part, very accepting of foreigners moving in. I personally loved that it is a hub for many local crafts, and is home to a vibrant performing-arts community. Also, as addicts to anything on two wheels, we knew that the countryside surrounding the city is renowned for having some of the best motorcycle touring roads in the world. 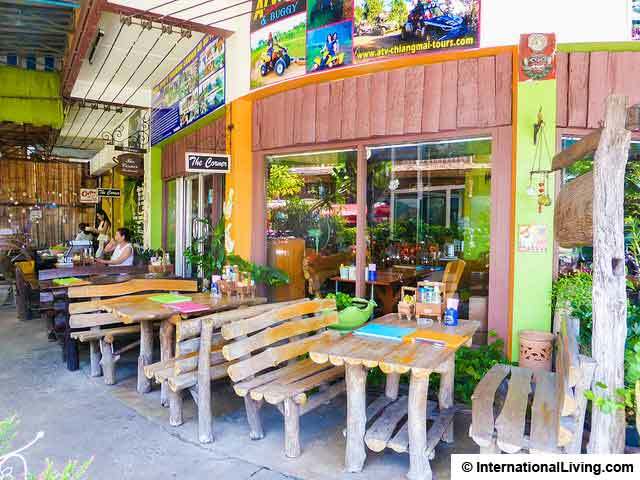 Trying out retired life in Chiang Mai is easy and fairly commitment-free. Short-term rentals at good prices are easy to find. And obtaining a renewable, one-year retirement visa is simple. Finding a place to live was easy. Small houses and studio condos can be found for as low as $200 to $300 a month. However, lower-priced properties tend to be outside the city proper. Like many folks, we dreamt of a little house in a tropical paradise when we first started looking. With the help of an agency, we found a new, Thai-style home on a large property with three other family-owned homes. In the pictures, it was gorgeous, and in real life, the gardens did not disappoint. For $600 a month, we had a two-story house, full-time gardeners, four balconies that looked out over tropical foliage, and a friendly, extended family to help us out. However, several months into our lease, we realized that it was not all wine and roses. The first-floor concrete structure maintained humidity and we had too many spidery house guests for our liking. Luckily, Chiang Mai has other options. For our one-bedroom, two-bathroom condo, the monthly rent is less than $600, including the HOA fee. There is also a large outdoor pool and several businesses on the first floor, including a couple of restaurants, coffee shops, and a massage parlor. Trendy Nimmanhemin road, with its upscale condos and eateries, designer boutiques, and popular bars, is only a 10-minute walk away. At the corner of Nimman is the new Maya Mall, where we go every week to watch the latest blockbusters. The same theater hosts an International Film Festival every year, where you can watch current films from around the world for no admission fee. Walking in the other direction takes us to the charming old part of town, which is surrounded by a 700-year-old moat and is home to most of the city's 300 Buddhist temples. The old city really comes alive every Sunday, when Ratchadomoen Road becomes a walking street, complete with a craft market, local dancers, and musicians. Soon after we arrived, we bought a Honda PCX150 scooter to get around. The total cost, including registration and insurance, was less than $2,500. It lets us get to out-of-the-way places surrounding the city. Within a 30- or 40-minute drive, we can cool off in mountain streams and waterfalls in the numerous nearby parks. There is plenty here to keep us busy. 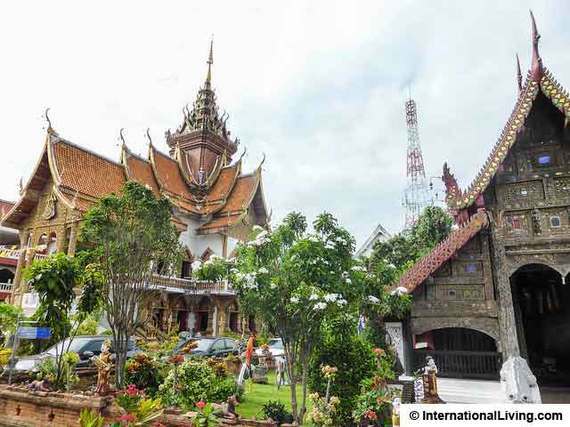 Chiang Mai has always been known as one of the main cultural hubs of Thailand. You'll find many art and cultural displays throughout the year, both at local galleries and at the many annual festivals. More than 30,000 expats live in the city, and the active expat club holds monthly meetings. Its local interest groups include everything from hiking to computers to photography. Add the abundance of volunteer opportunities, classes of all sorts, and inexpensive trips to nearby exotic locations, and time passes quickly. We have grown to love the wonderful people, food, and climate of Southeast Asia. Not having to shovel snow for half the year is a good enough reason for now to stay in the tropics. If we tire of the city, we can jump on a plane for less than $100 and have dinner on the beach in the town of Hua Hin or on the island of Koh Lanta by day's end. We loved visiting Thailand during our vacations. Being on vacation every day is even better.